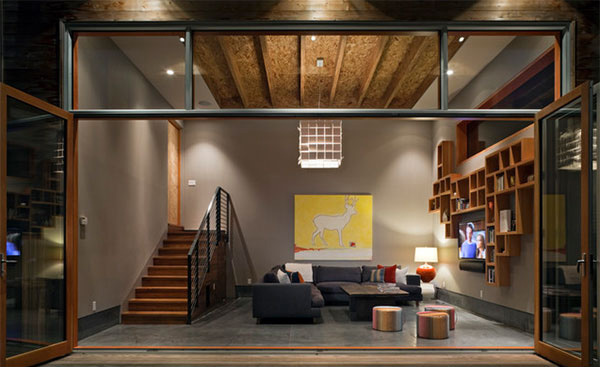 We have showcased a round-up of basement living rooms in the previous posts. But we’re not stopping there, in fact, here we will give you another list of ideas on what you can do with your basement. 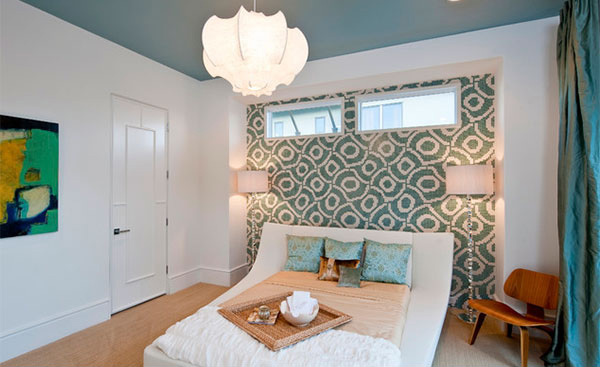 If you think it is limited to living rooms or family rooms, then you are missing out! You can actually use the basement for a variety of purposes depending on what you need. This way, you will not waste any space in the house. So, instead of making it a storage room, there are more enjoyable ways to use the basement. 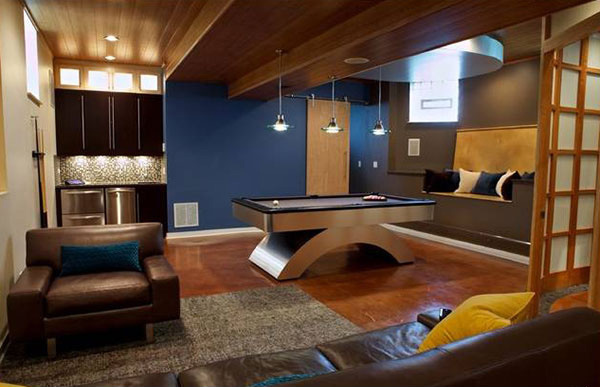 A contemporary interior was used for this beautiful basement with a living room and a play area. It is nice to have an entertainment area in one place just like this one with a lot of stuffs that will give fun and enjoyment. When you get into a basement like this, you will feel like you are not in your own house! Aside from being a gaming area, a basement can also be perfect for a home gym. 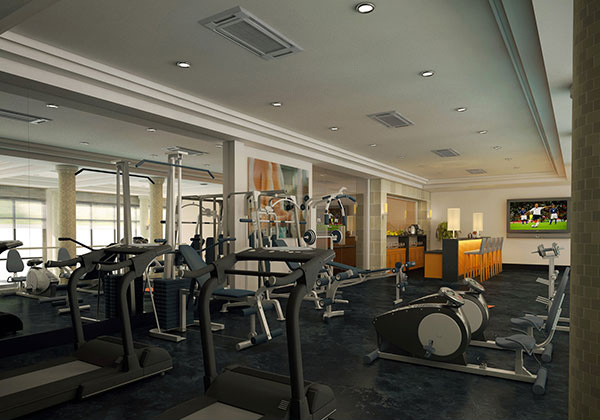 A multi-activity space where you can find a play area and a home gym. 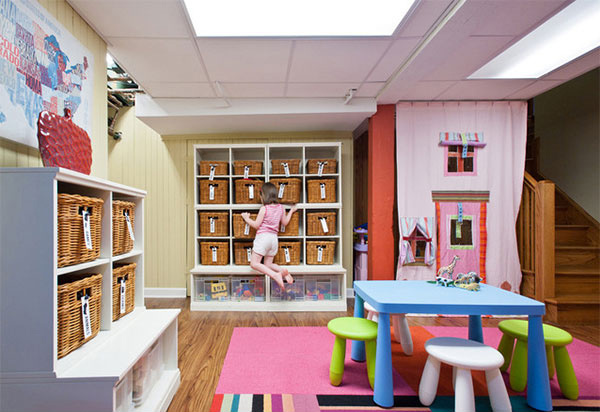 A smart way to have a single space for parents and kids. 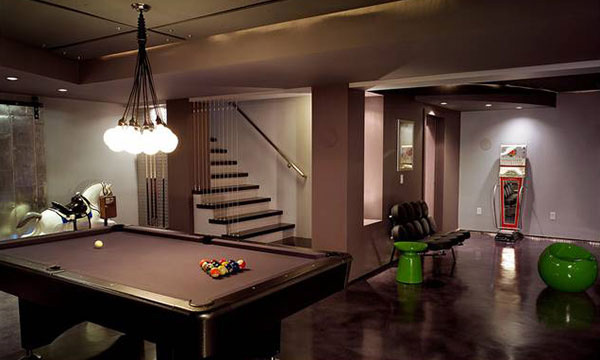 Why not use the basement as a play area? It can surely offer a huge space for the kids to roam around and play. We like the storage of this space with tags on it. It even has a playhouse! 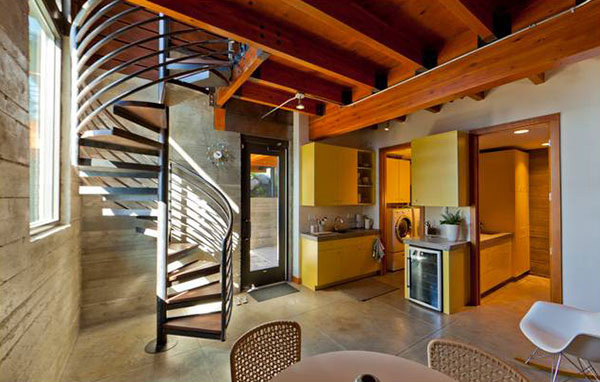 A delicate balance of natural materials is seen in this modern log cabin’s basement kitchen. 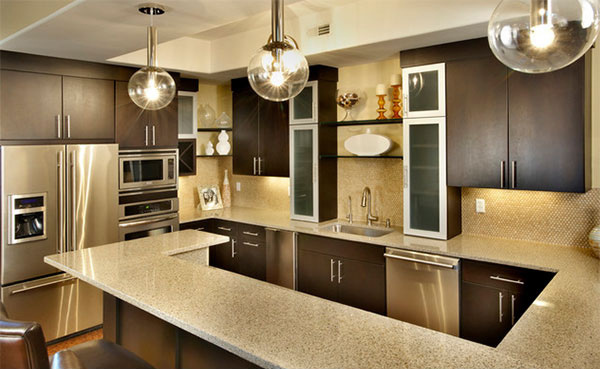 A modern space for a kitchen located on the basement. This sure is one good way to use the area. We’d guess the dining is also here. 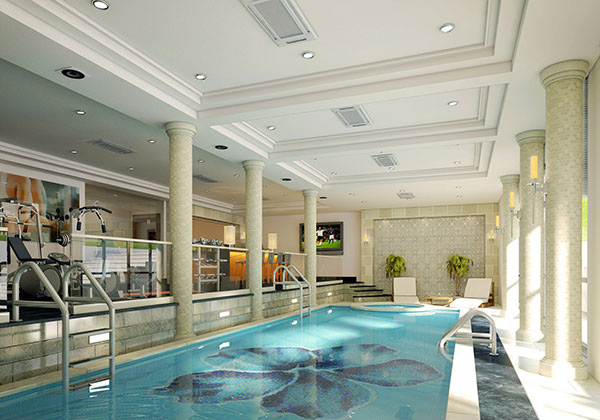 What could be more enjoyable than an indoor pool in the basement? You will get all the fun you like without worrying about the weather and the noise too. This basement living room has soft lighting giving this space the best ambience. You can also notice that it used carpet tiles on the floor. Isn’t this a lovely place? This contemporary living room in the basement is well designed with wall shelves and gray furniture. A bar in the home theater is a smart way to make entertainment more fun. The wooden elements in this space made it look lovelier! 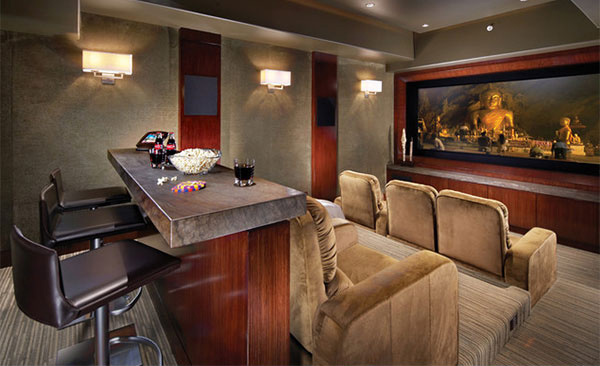 The colors of this basement media theater are just stunning! We love that wide screen television set! A double master bedroom on the basement truly provides privacy to the homeowners. Since this is located at the basement, the wall is insulated on one part with the patterns on it. While a full-sized window on the other side pairs well with the transom windows which give this area some natural light. We are sure you were surprised that even a basement can be a perfect space for whatever usage and function you can think of. Well, if you have a basement that is not used, why don’t you try using them as a play area, home gym, home library, home theater and just whatever you can think of. 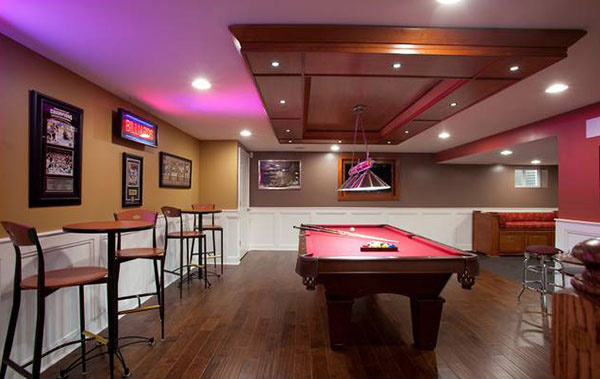 Still want to see more basement ideas? 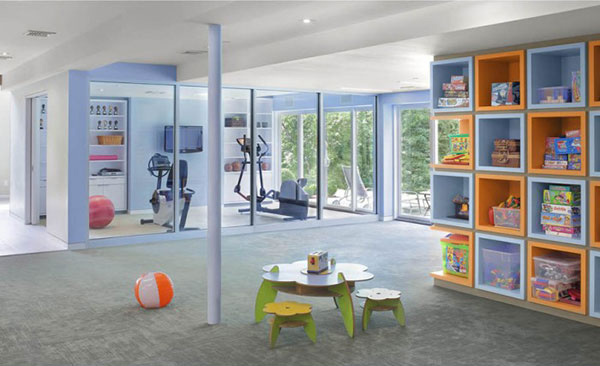 Take a look at our list of living room basements with modern and contemporary designs.